CMS Says: Thanks for reaching out to CMS wirh your question. We’re an experienced team based in Farmington, CT, and we support thousands of employers in the United States. Beginning screening is very easy. You simply start by adding the WOTC paperwork to your new hire paperwork. WOTC forms include an 8850, and 9061. New hire completes this paperwork. We offer three ways to submit the WOTC forms to us (online – most efficient and cost effective, call center, or paper). If you are using our service, we submit to the local State Workforce Agency on your behalf. 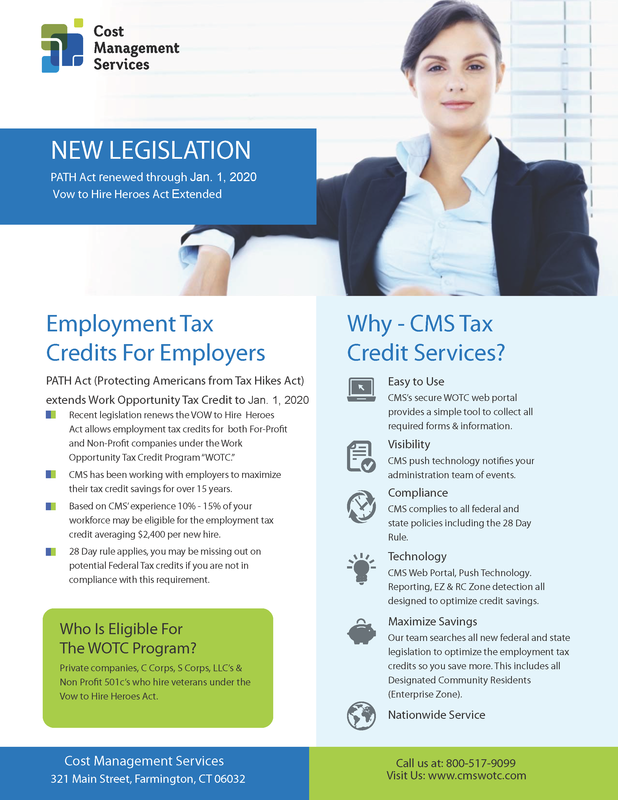 We then track the hours and wages of your qualified employees to make sure you get the maximum tax credit. We do all the work for you.